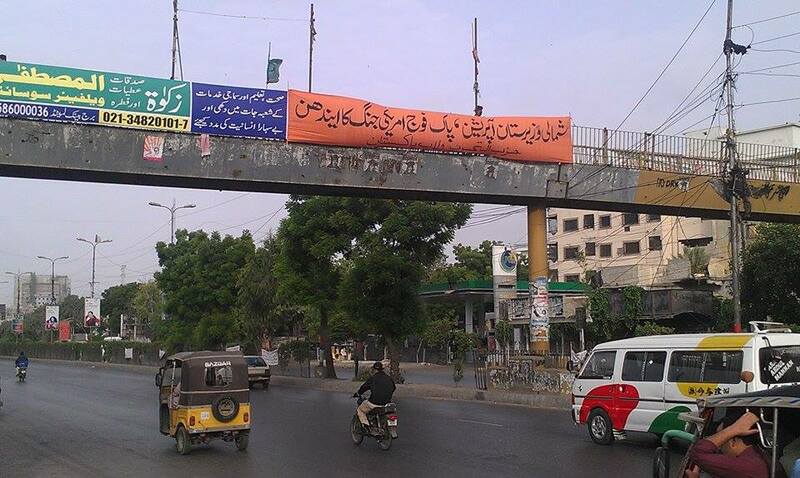 Hizb ut-Tahrir Wilayah Pakistan has displayed banners demanding operations against America’s Raymond Davis network and end to North Waziristan operation. They were displayed at various main roads and localities of Karachi and Lahore, including the armed forces areas. The Raheel-Nawaz regime is responsible for the vast American presence in the country which both allows the American war to take place and also the attacks on our armed forces to ignite that war. The regime has blood on its hands as it allows containers of Americans to enter the country without checking, it allows its spies to carry arms and gather intelligence without fear of recrimination and it allows the American embassies, consulates and bases to mastermind their terrorist network. And now it has the blood of the armed forces personnel that it has sent to be burnt as a fuel for America’s war in North Waziristan.